A Coleman® Steel Belted® Coolers will rekindle your fondest outdoor memories — and equip you to make many new ones. It looks just like the one you remember with its classic design first developed in 1954. 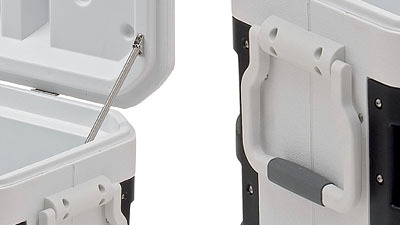 Whether you're headed on an overnight camping trip, to a tailgate party, or out to a BBQ, the comfort-grip steel handles and stainless steel lid latch make getting to your destination easy, comfortable and secure.